“It feels like I’ll never shake off this horrible, low feeling,” my friend, Melissa, said. We were in the middle of a conversation about depression symptoms. I have worked for years to cope with my own clinical depression symptoms. I’ve learned you can live a good life even with such symptoms. Research Shows that Helping Someone Can Lift Much of Depression Symptoms. I’ve experienced certain benefits, which quiet down my depression symptoms. For example, when I help someone, I feel as though I have a purpose. I feel like I can make a difference in someone else’s life—that I can be a valued part of the community. Sometimes, when you just listen, you’re relieving someone’s suffering. You’re providing space so the other person can unburden themselves. Pause for a moment. Why do many of us like movies and TV shows? Because we can unplug from our own problems and disappear into the fictional world of the film or TV show. When you help someone, you’re plugging into another person’s world. A Bonus: Research shows that helping other people relieves the helper of vague guilt-feelings. 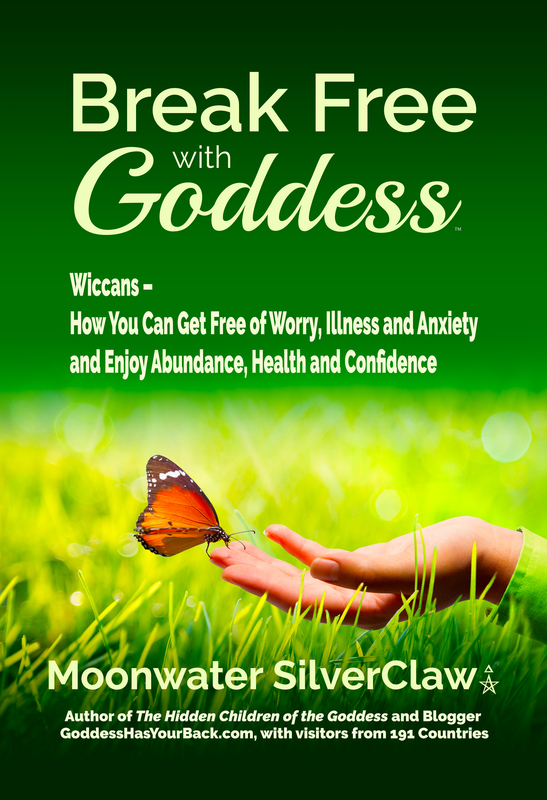 How Do We, Wiccans, Invite the Gracious Goddess to Guide Us related to Helping? For many of us, the questions are: Who do I help? What would be something good for me to do? The Gracious Goddess can help with you finding answers. You can call on Her just before you go into a meditation session. To those who feel downtrodden and afraid. Let me see the truth inside. Now dry all the tears that have flowed. Gracious Goddess, help plant that seed. May these ideas and practices give you real support. Are you facing significant health problems? I’ve learned a lot about the process of dealing with significant health situations. I’ve learned to drop 50 lbs. * so I have avoided going down the diabetes path on which my mother struggles. I am doing well in working with asthma and clinical depression symptoms. I nodded. I remained quiet. She would see it, or she wouldn’t. Every situation is unique. This depends on the individual and their situation. For example, I take appropriate medications for my medical issues. Look to get support from medical professionals and mental health professionals as needed. I suggest that you take a whole-life view of health and wellness. If you think willpower is simply a matter of gritting your teeth, clasping your hands together and saying, “No! I won’t do it!”—you might have a bumpy ride. He’s not trying to rely on “willpower.” Instead, he’s using a strategy. I know from personal experience that simply setting up “rules” for a diet can result in failure. You make up rules, sometimes impossible rules, to live by. And when we don’t live up to those rules, we get mad at ourselves. This approach to willpower does not work. Do you want it bad enough? – Why? I note two types of want – 1) Want to manifest something and 2) Want to throw out something. How deep is your want? This relates to how we Wiccans manifest things via magick. We need a powerful desire to manifest what we want. If you do not have the deep, powerful emotional connection, your spell is likely to fail. That’s harsh to know. Still, this knowledge can empower you. When you do a ritual, be sure to tap into your Deep Want. In summary, take a whole-life view of your health and wellness. We, Wiccans, are fortunate in that we can integrate our spirituality with our being healthy on the earthly plane. “Why is it getting worse?” my friend, Stephanie, said. “I know there’s a lot happening. Anything in particular?” I replied. “More violence in this country!” Stephanie said. And, this began a significant conversation. What if Goddess Serves as Your Source of Certainty? As many of you know, I believe in the Summerlands, a place of love and peace in between the times we incarnate. We return and incarnate into a new body, and the lessons begin. We use our bodies as a user-interface for our spiritual being to learn lessons on this physical plane. I realize that it can be tough to see this spiritual level when we’re in the midst of suffering and confusion. It’s as if we’re wearing “human-tinted glasses.” I suggest that we pause and consider looking at our lives from Goddess’s perspective. Goddess knows. Sometimes, I return to The Charge of the Goddess for inspiration and comfort. A couple of meanings rise up for me with the above quote. Notice the phrase “all acts of love and pleasure are my rituals,” and see that the Goddess gives us the answer. We can derive comfort in honoring Her with our compassion, reverence, humility and more. Acts of kindness and beauty honor the Goddess and make us feel good. And give me compassion and mirth in heaps. Acts of love and Acts of pleasure. I honor You in this way forever. May the ideas expressed here comfort you and invite you to listen to your heart. May compassion for others flourish in your heart. 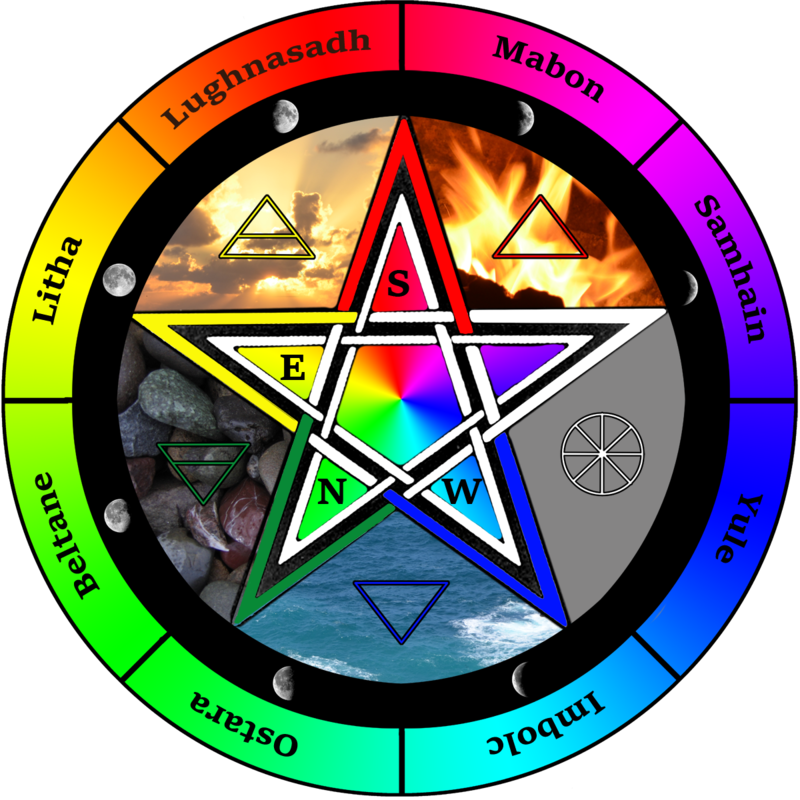 Recently a reader asked me: What does the Wiccan Rede “An ye harm none, do what ye will” mean to you? Is it a law, or is it advice? If you look at the word “rede” it means to give advice to; counsel. When I look at the Wiccan Rede, An ye harm none, do what ye will, I view it as sage counsel that is given to us. Advice fits certain situations. Still, other situations call for using a different approach. How about self-defense? If you do no harm, like block the attack and cause the opponent’s arm to sting, you would be allowing more harm to come upon you. So, I don’t view the Wiccan Rede as a law, in part because one cannot live up to it. It is impossible to harm none. We eat, we use chemicals to kill germs as we clean our homes, and we brush our teeth. In all of those activities, something’s going to die. The Wiccan Rede can serve as advice to live a good life, to be kind and loving whenever we can. I have found that the universe will return the same positive energy—perhaps, in another form. As I thought more about this, I found this to be valuable: Strive to do as little harm as you can. Be helpful and be kind when possible to all humans, plants, or entities alike. This is a positive and enjoyable path in life. 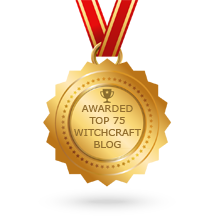 How do I Create a Wiccan Daily Practice? Often, I’m asked about how Wiccans can really support their relationship with God and Goddess and deepen their Wiccan spiritual practice. I often share The Three Elements to Improve Your Wiccan Practice. The whole point in much of Wicca is being close to the Gods. All the ritual we do, all the meditating we do—it’s about getting to the ecstatic state of being closer to the Source. Do you want to start a meditation practice? Or how about doing more ritual each week? In creating a daily practice, you first have to figure out what you’re going to do. Maybe you want to hone your magickal skills. Here’s the first thing to consider: Start with something easy. Avoid setting yourself up to fail. Start with something simple. You could do a simple candle lighting ceremony, for example. Here’s the good news: Whatever time you have, you can make your Wiccan spiritual practice better. 3 to 5 minutes – Have a brief meditation session. 30 minutes – Do a simple ritual. Perhaps, include a candle lighting ceremony and some meditation. 1 hour – Do a formal ritual. The more time you have, the more you can do. Just remember to pace yourself. Even if you have only a short time to spare, you can still get big benefits. How? Practice will help you hone whatever skill/discipline you are trying to work with. Even doing a three-minute meditation session will bring you results over time. How will you log it? Logging your practice is crucial. If you do not log your actions, you really don’t know if you’re making any progress. Some people use a diary. Diaries are great to log what you did, the duration of your practice, and what the outcome was. What if you don’t like to write? No problem. You can use your smartphone to record your progress. You can pick an app to log your efforts. Otherwise, you can simply mark a paper-based calendar on the days you successfully complete your practice. Wiccans also find that having another Wiccan as your “accountability buddy” helps. In summary, you can accomplish much even with a short time—when you do things daily. Use The Three Elements to Improve Your Wiccan Practice. May this process help you. “Ahhh. My throat’s on fire and my ears hurt,” my friend, Sharon, said when describing how sick she felt. Her comment inspired me to think about how, at this time, many of us are having our internal flame diminished. How can we stoke and tend the flame within? Getting a cold, having allergies or just feeling shut away from the light of the Gods can really be a downer. This is when we need to feed the fire within. Doing ritual can help us keep our internal flame lit. Consider the Element Fire. As humans learned to harness the benefits of fire, we discovered an essential part of our rituals. What rituals can we do to keep our flame roaring not just a weak glow? Witches have long known that nature is good for us. Now, doctors have finally started to catch on. I love walking in nature. Why? Because plants, trees, and water around us take in the toxins and free a person from such toxins. Because I deal with symptoms of clinical depression, I walk in nature to become free of sadness, anxiety, and fear found in my body and soul. This does help me. Getting a thorough cleaning and being close to the God and Goddess always brings me joy. The doctors may not yet know the true reasons why walking in nature is beneficial, but we, witches, know how it works. For city dwellers, at least, talk a walk on a street decorated with living trees or walk in a public park. Make reading a natural part of your day. Support your inner flame by reading in the direction your curiosity takes you. At this dark time of the year, many Wiccans refrain from doing active magick. How do you make reading a ritual? Pick a certain place and a certain time. You could light a candle, sit down with a nice cup of tea, and read … and smile. Wiccans use meditation to connect with all that is good in this moment. Focusing on your breath can be part of your gratitude-ritual. You are grateful for every breath of life—the gift from God and Goddess. I stoke the Flame of Life. I breathe out all stress and strife. A Bonus Idea: Meditation can also kindle your positive anticipation for future good things. Think of what you would like to work on next year. Write down your thoughts on separate slips of paper and then place each item, one at a time, on your altar and meditate on how you want to accomplish the different goals. You can light a candle and play some soft, relaxing music in the background. In summary, I invite you to keep your internal flame bright and powerful. Ever hear someone say something that just sticks with you? At the time, I thought I got what he meant. Since that time, some other ideas have risen in my thoughts. As witches know, now is the season of harvest. Mabon just passed, and we are reaping the bounty of the earth with all its produce. But it’s not just the bounty of the earth that we can be harvesting at this time. A number of Wiccans I know sowed magick spells at earlier times this year. It’s as if the multiple sessions of doing spells were like tending one’s garden. Wiccans traditionally start in the Spring and work on our magickal goals at that time. Working and watching until Fall, we see how all our hard work pays off. Recently, I have been doing just that, harvesting. I’ve experienced a major shift personally, and it has invigorated how I serve others, too. January 1st, I started a new lifestyle with how I eat, connect with the Goddess and let go of excess weight. I let go of 36.8 lbs. permanently and this journey inspired my book this year titled Goddess Style Weight Loss. Here’s a Secret: Start where you are. Start with what your heart and what the Gods call you to do. On January 1st, I just focused on opening a new chapter of life for me—for my own health. Now, God and Goddess are guiding me to expand how I help others. What About You? What New Chapter Awaits You in Life? Let’s come back to the idea of seasons. January was not a season for me to consider new projects. January was the season for me to take care of my health. Realize there are seasons in which we sow seeds, tend the garden, and later enjoy the harvest. Certainly, you’ll need to plant for new growth at some point, too. Perhaps, you’re in a season in which sadness feelings are more visible. It’s just a story, my friend. Reach out to the God and Goddess. You do not need to make a production of it. The God and Goddess greet you in whatever season you find yourself in. An important point: Your Seasons may not follow the calendar year. The God and Goddess guided me this year. Some years ago, I didn’t know the God and Goddess. My depression symptoms ran my life. I had no passion. I was unhappy and lost in my emotions. Having nothing to reach for, I spiraled and sank deeper into the land of sadness, loneliness, and self-hate. Then, I began a process of studying books on Wicca, meditating and conducting ritual as a solitary witch. Things shifted into a higher gear when I joined a coven. You see, I am passionate about my relationship with the God and Goddess. They are now such an intricate part of my life. When I found the Gods, things changed. And I started to sow new life into my existence. Having some passion in my life kept me from spiraling out of control. 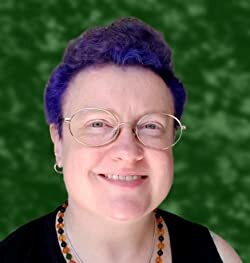 I invite you to dive in and engage with your Wiccan practice. Find some passion for yourself. Remember as a child being desperate for the school year to end? Come on, Summer! Twenty minutes left of the last class. What’s wrong with that clock! The big hand is not moving! Some of us live as if happiness is this unknown island in the mist of the future. What is happiness? Surely, it’s different for different people. I’ve learned, for me, it’s appreciating some cozy moments of each day. Perhaps, the problem is: Many of us are looking for a fictional time when everything goes smoothly. I invite you to reach to the God and Goddess and to develop more happy moments in each day. The God and Goddess give us all sorts of opportunities throughout the whole year. So, don’t be shy on grabbing them. Keep in mind that the Gods are helping you by offering you opportunities to grow. Also, some opportunities don’t look like opportunities. Then come in the clothes of trouble or even hardship. But they will help you grow. Remember, each of us lives in seasons: time to sow, to tend the garden, and to enjoy the harvest. So, don’t let opportunities slip away. Grab them! Grab them and follow your bliss. P.S. It is with gratitude for Goddess that I now offer Goddess Style Weight Loss Online Course. See this 1.3 min video. What if you could invite Goddess to help you lose weight? You’ll learn a system of weight loss that is NOT a diet, and you’ll be honoring the God and Goddess through the practice of Wicca. You’ll take care of yourself. You will not be hurting yourself with denial of your favorite foods all the time. You’ll even nurture yourself and feel the embrace of the Goddess. This 5-week online course is about being healthy. It’s not about being stereotypically attractive like any image portrayed in the media. In fact, Wiccans appreciate Goddess in Her many forms. High Priestess Moonwater SilverClaw reveals in this course the process in which she permanently dropped 40 pounds. Her health is better. Begin a new journey of weight loss and spiritual peace….